WGRF’s funding is all about benefitting western Canadian crop growers. Farmer-focused. Research-focused. Multi-crop. Interprovincial. Cross-cutting. Independent. Collaborative. Unique. That’s the Western Grains Research Foundation (WGRF). Building on more than 35 years of experience, this crop research funding agency is poised for the challenges ahead. Since its inception in 1981, WGRF has invested over $130 million into crop research. It is probably best known for its investment of wheat and barley check-offs into variety development. “Through that investment, over 200 new wheat and barley varieties have been released since 1995,” notes Patterson. 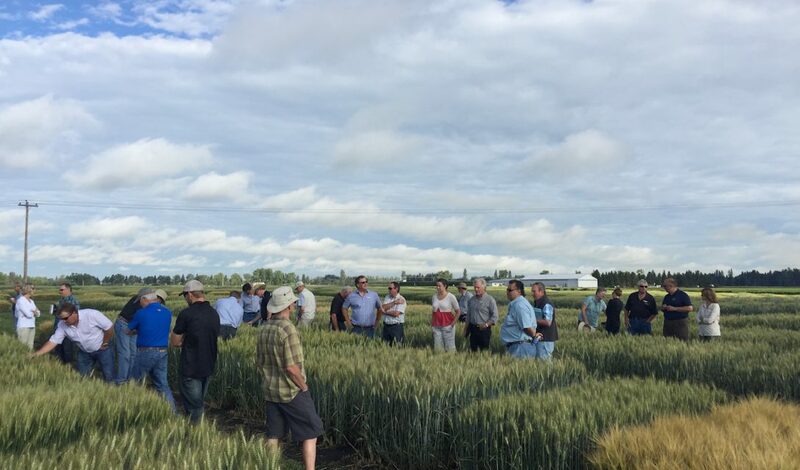 “We fund public crop breeding institutions and their varieties really dominate western Canadian acreage.” For instance, over 88 per cent of CWRS acres and 94 per cent of CWAD acres are seeded to WGRF-funded wheat varieties. According to Patterson, WGRF looks for three key elements in a research proposal. One is the potential to benefit crop producers in Western Canada. “That doesn’t mean we don’t invest in upstream research, but we want to have an understanding of how it might contribute in the end to profitability on the farm.” The other two elements are good science, and a strong likelihood that the researchers will accomplish the project’s objectives. The WGRF’s research committee consists of experts representing various aspects of agriculture including: research, market development and agri-business; and WGRF board members. The research committee makes recommendations to the WGRF board of directors, which makes the final decisions on project funding. The board is composed of farmer representatives from each of the 18 member organizations, which include provincial, western Canadian and national farm organizations. WGRF funded over 20 new research projects in 2016 and is currently funding 250 projects. These projects cover an amazing array of topics such as: enhancing clubroot resistance in canola; improving faba bean, pea and alfalfa varieties; screening and managing Fusarium head blight in cereals; investigating novel ways to tackle herbicide resistance; managing pea leaf weevil in faba bean and field pea; and optimizing fertilizer management in flax. Most projects are co-funded with other agencies, enhancing the impact of WGRF dollars. This project involves developing integrated weed management (IWM) strategies that reduce selection pressure for herbicide resistance. Harker explains: “In this project, we combine chaff collection (to remove harvested weed seeds) with some of the best cultural weed management techniques – high seeding rates, winter cereal crops, early-cut silage, perennial forage – in canola-wheat and more innovative crop rotations. 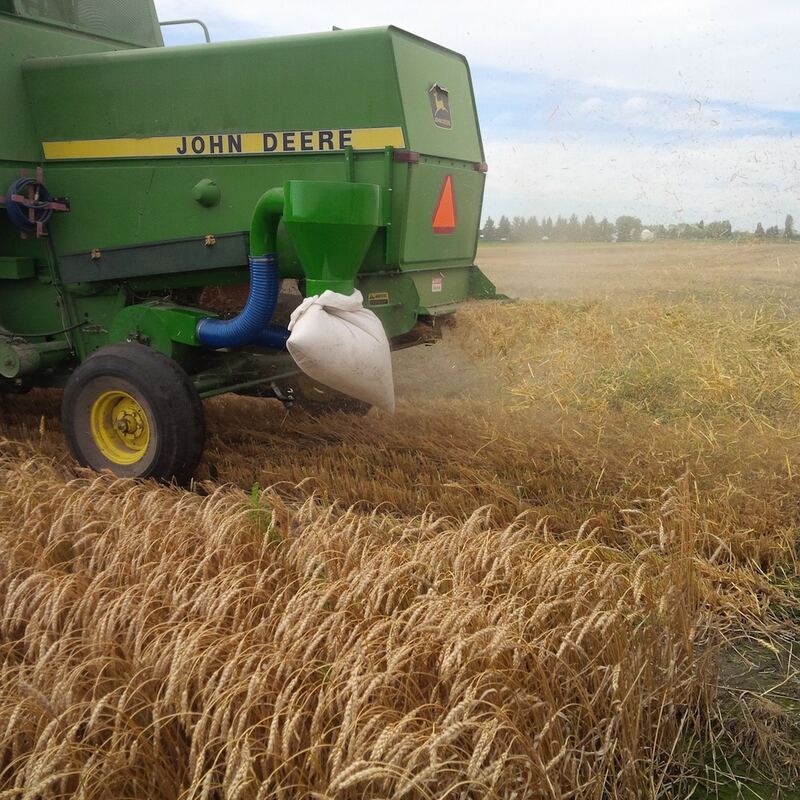 This five-year experiment (2016-2020) is being conducted at six western Canadian locations under direct-seeding conditions.” Weed control tools such as chaff collection have more subtle effects than herbicides and require multiple years to determine their impact. This research will introduce crop growers to new IWM strategies that reduce herbicide use and herbicide resistance selection pressure. “Combining chaff collection with previously proven IWM tools provides an opportunity to decrease the reliance on herbicides. With many weed seeds passing through the combine in the chaff fraction, collection of the chaff prevents many of the seeds from supplementing the seed-bank, thereby reducing weed populations,” says Harker. In addition to WGRF funding, this project is supported by the Alberta Canola Producers Commission, Saskatchewan Wheat Development Commission (Sask Wheat) and Alberta Barley. 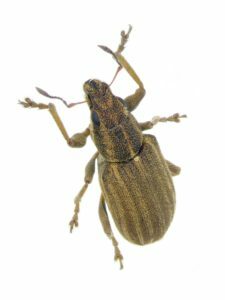 Another new WGRF project concerns the pea leaf weevil. Many pea growers in southern Alberta are all too familiar with the yield losses due to the pea leaf weevil larvae feeding on pea root nodules and the adults feeding on pea foliage. Now this pest is spreading into new regions and a new host. 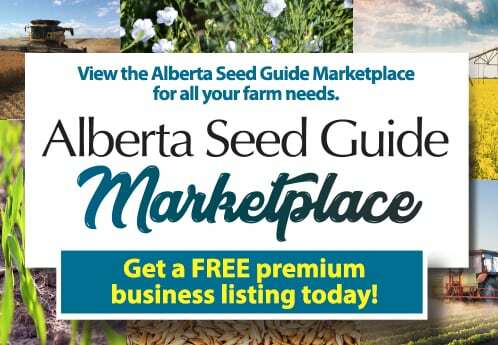 WGRF and the Alberta Pulse Growers are funding this project. The University of Alberta, Alberta Agriculture and Forestry, and especially AAFC are providing substantial in-kind support. Fusarium head blight (FHB), one of the most important wheat diseases on the Prairies, is the focus of a new spring wheat project. FHB lowers yields and results in downgrading because the fungus can produce toxins that limit the grain’s use. Fungicides can suppress the disease, but they only give up to about 50 per cent control. So cultivar resistance is a very important tool. Unfortunately no single gene confers strong resistance to FHB. Breeders have to bring in several resistance genes, and even then most wheat varieties are only moderately resistant at best. So Randy Kutcher, an associate professor at the University of Saskatchewan, is working with AAFC’s Plant Gene Resources of Canada and the National Research Council to find new sources of FHB resistance in spring wheat. These three agencies are part of the Canadian Wheat Alliance, a partnership to develop new wheat varieties that produce stable and increased yields, and have stronger resistance to stresses including FHB. The researchers are screening for FHB resistance in Plant Gene Resources’ 14,000 accessions of wheat collected from all over the world. “In a Fusarium head blight nursery, we screened about 4,000 lines in 2016 and we’ll do it again in 2017,” says Kutcher. “Then we’ll pick the most promising lines and rescreen them.” After that, they will do some further work with the best lines to confirm the resistance and to see how easy it would be to cross that resistance into adapted germplasm. They will pass along any useful new sources of FHB resistance to wheat breeders. This project is supported by the Agriculture Development Fund of the Saskatchewan Ministry of Agriculture, Sask Wheat and WGRF. In 2016, WGRF invested over $19 million in breeding and other crop research, about a three-fold increase since 2011. WGRF has seen significant changes in its revenue sources over its history. It currently has five sources: the Endowment Fund, the wheat check-off, the barley check-off, royalties from commercialized wheat and barley varieties, and third-party funds to administer project funds (for example, WGRF is managing the funds awarded to projects in the Wheat Cluster under the Growing Forward 2 program). The Endowment Fund got its start in 1981. “At the time, the Prairie Farm Assistance Act [an early version of crop insurance] was wound down. It had $9 million that came from farmers, so the federal government put that into kick-starting the Endowment Fund to fund research in a wide variety of crops,” explains Patterson. Of the $19 million invested in research by WGRF in 2016, about $7.5 million was from the Endowment Fund. WGRF began administering the wheat and barley check-offs for variety development in 1994. A 2012 return-on-investment study commissioned by WGRF found that, on average, for every check-off dollar invested in variety development, producers receive $20 in value for wheat and $7.50 for barley. The current Western Wheat and Barley Check-off is a five-year measure put in place by the federal government on Aug. 1, 2012 with the ending of the Canadian Wheat Board’s monopoly. This transitional measure is intended to allow provincial wheat and barley commissions and associations to take responsibility for research and market development. Currently, funds from this check-off go to WGRF, the Canadian International Grains Institute and the Canadian Malting Barley Technical Centre. WGRF felt it was crucial to prevent any funding gaps in wheat and barley variety development programs, so it has taken steps to ensure a smooth transition. “Even though the check-off that we receive expires on July 31, 2017, we had enough in our wheat and barley reserve funds to commit to new agreements that go to 2020 with the public institutions,” Patterson states. One of WGRF’s current initiatives involves reinvigorating agronomic research capacity in Western Canada. This initiative had its beginnings about three years ago, when a number of producer groups expressed concerns about declining capacity to WGRF. To get a better handle on the issue, WGRF commissioned a study of the current and projected agronomic research capacity to 2020. The resulting report, Fertile Ground: Agronomic Research Capacity in Western Canada, was released in 2014. It confirmed the declining capacity, including loss of scientific expertise due to retirements, a lack of adequate equipment, land and buildings, and insufficient staff and funding. So WGRF set up a technical committee to develop a vision of future agronomic research capacity, and it held a workshop in April 2015 to consult with stakeholders. This generated Shaping the Future, a report on ways to address the capacity needs. Next, WGRF developed a two-phase strategy for reinvigorating agronomic research capacity. The strategy was finalized in spring 2016, and phase 1 is now being implemented. Phase 1 involves rebuilding human resources research capacity at the main public institutions involved in agronomic research in Western Canada – AAFC, University of Alberta, University of Saskatchewan and University of Manitoba. AAFC has already started filling several positions, and WGRF is working with each of the three universities. Phase 2 will target capacity issues around infrastructure and equipment and at other research organizations. As the various capacity issues are addressed in phases 1 and 2, WGRF will be looking at how it can increase its agronomy-related project funding. What’s next for WGRF? “WGRF is in transition with the ending of the wheat and barley check-offs. But we’ve created a very stable situation as far as the support for wheat and barley variety development out to 2020. So, as we transition we are looking at what we can do in the Endowment Fund,” says Patterson.